Despite the expense of technologies like a 5.8-inch, edge-to-edge OLED display and a 3D facial recognition camera, the iPhone X is actually more profitable per-device than the iPhone 8, according to a research estimate published on Monday. 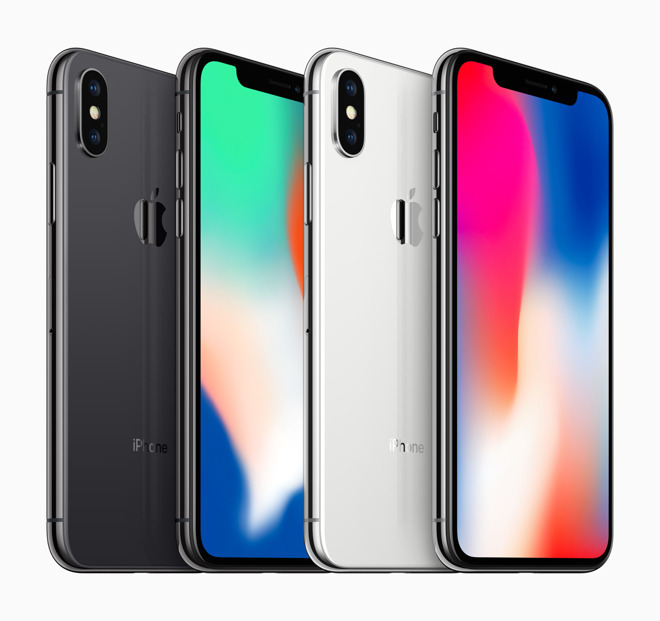 The 64-gigabyte iPhone X costs about $357.50 to make, giving Apple a 64 percent profit margin on a $999 pricetag, TechInsights said. The figure is based on a parts calculation during a teardown. An equivalent iPhone 8 sells for $699, but is said to have a margin of 59 percent. The discrepancy is significant because unlike the iPhone X, the iPhone 8 is relatively modest evolution of the iPhone 7. It does include a number of changes —like Qi wireless charging, an A11 Bionic processor, and some camera and display upgrades —but it otherwise shares the same form factor, and continues to use LCD instead of OLED, plus Touch ID instead of Face ID. The switch to a glass back was made to support wireless charging. The X's OLED display and linked parts are estimated to cost about $65.50, versus $36 for the 4.7-inch LCD assembly on the iPhone 8. Another pricey item is the X's stainless steel chassis, said to be worth $36 versus just $21.50 for the frame on the iPhone 8. The use of stainless steel is one separator of prices with the Apple Watch Series 3 —while LTE models with aluminum and Ion-X glass start at $399, choosing steel and sapphire instantly raises prices by $200. Unaccounted for in the TechInsights research are expenses in research, development, manufacturing, and marketing. iPhone X Super Retina HD gets A+ from DisplayMate: "best performing smartphone display we have ever tested"